The city of New Orleans kept your Felix and Fingers performers quite busy. 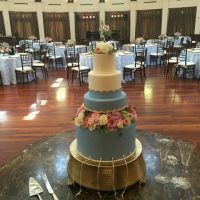 This Audubon Tea Room Wedding was one of two bookings for the day. We love traveling to New Orleans and are always more than happy to bring our great dueling piano show to the Big Easy. 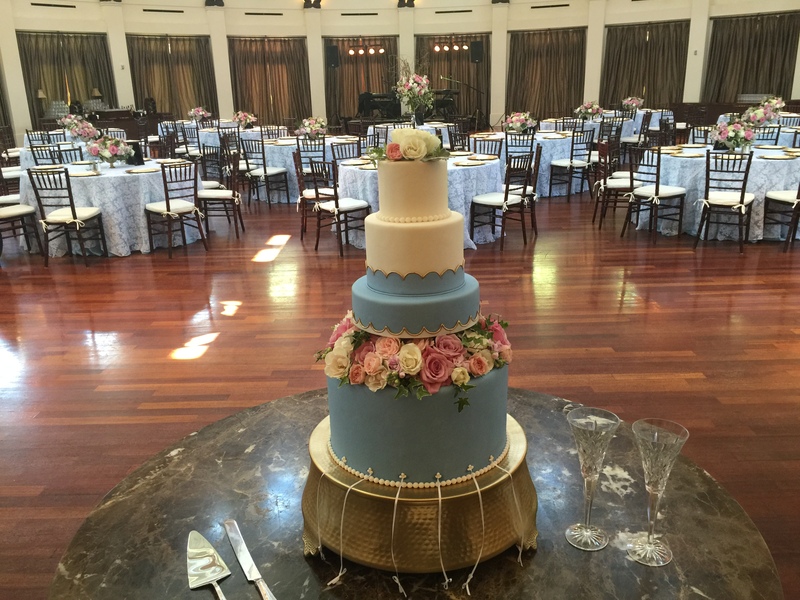 We found the Audubon Tea Room in New Orleans to be quite the elegant venue. Soaring high ceilings above polished wood floors make this prestigious location really stand out. It is superbly decorated with silk drapes and gorgeous chandeliers. 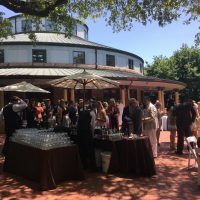 You will be in awe over this beautiful venue at the Audubon Nature Institute. 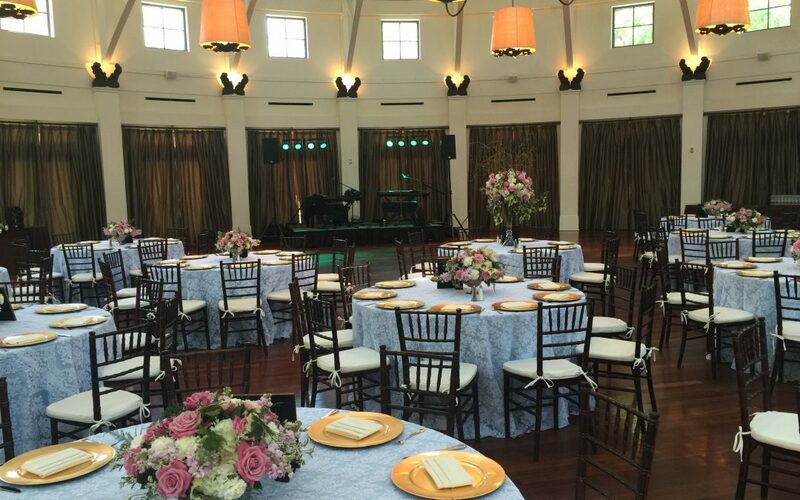 The Audubon Tea Room can handle a very large crowd with capacity for up to 500 people. 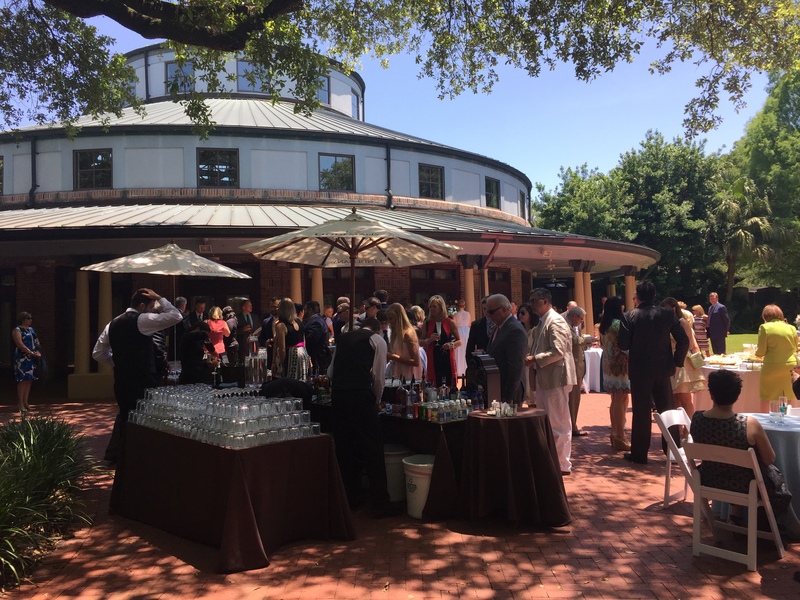 In addition to the gorgeous ballroom, you will find a charming courtyard that can host up to 300. You can have both for your special day and your guests will love moving about the two spaces. 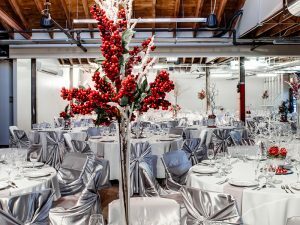 Elegance and sophistication rule at this venue. With its divine catering and professional staff, your wedding day will be truly special indeed. Click here to access their website and see for yourself how gorgeous it is. We never tire of traditional New Orleans music when we play in this great city. We always perform a lively version of When the Saints Go Marching In and love Jambalaya (On the Bayou). 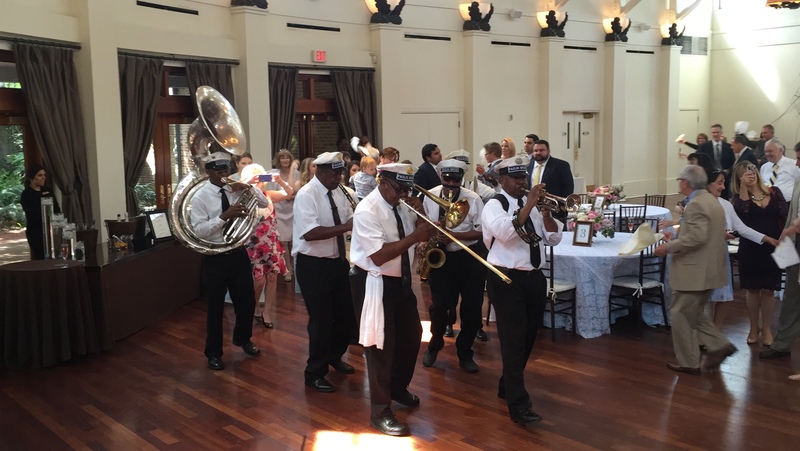 We were also able to experience a traditional second line band at the beginning of this event. 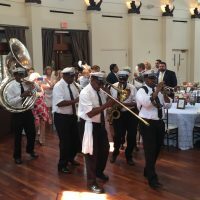 This traditional New Orleans style brass band follows the first part of a parade or funeral procession and is truly a sight to behold. 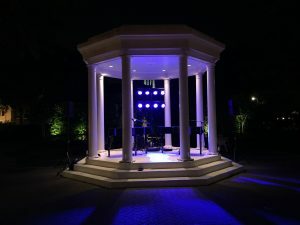 What a great idea for a New Orleans wedding. We played quite a bit of country music as the audience belted out tunes along with us. Songs such as Willie Nelson’s Blue Eyes Cryin’ In the Rain and Tammy Wynette’s Stand By Your Man made a rare appearance in our show. Then we had to up the tempo a bit and played songs that were sure to get people out on the dance floor. It was a great night in New Orleans! 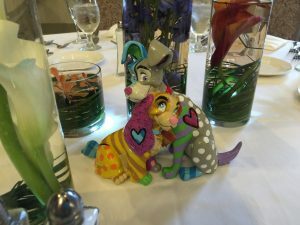 Felix and Fingers would love to come to your area to play for your special day. Give us a call or an email and we’ll be there. 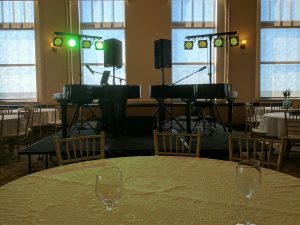 You can click here to read more about our awesome dueling piano show and the best wedding entertainment around.